Rodney William Marsh MBE (born 4 November 1947) is a former Australian wicketkeeper. 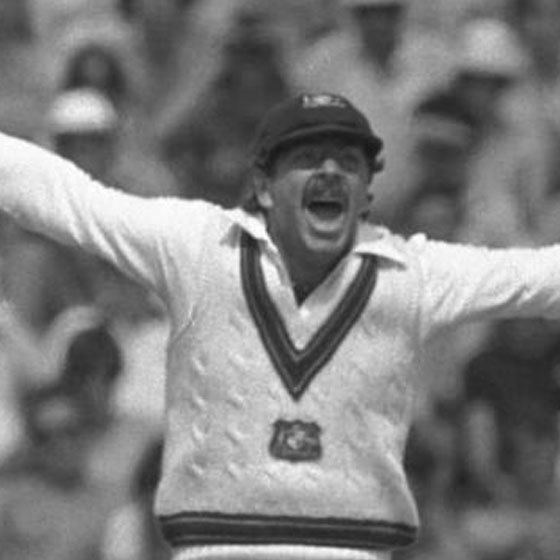 A colourful character, Marsh had a Test career spanning from the 1970–71 to the 1983–84 Australian season. In 96 Tests, he set a world record of 355 wicketkeeping dismissals, the same number his pace bowling Western Australian team-mate Dennis Lillee achieved with the ball. The pair were known for their bowler-wicketkeeper partnership, which yielded 95 Test wickets, a record for any such combination, and made their debuts and retired together. Wisden stated that "Few partnerships between bowler and wicket-keeper have had so profound an impact on the game." Marsh had a controversial start to his Test career, selected on account of his batting abilities. Sections of the media lampooned Marsh’s glovework, dubbing him “Iron Gloves” after sloppy catching in his debut Test. His keeping improved over time and by the end of his career he was regarded as one of the finest in the history of the sport. He was widely regarded for his sense of team discipline, in particular after Bill Lawry controversially declared the Australian first innings closed in the Fifth Test of the 1970–71 series at the MCG with Marsh just eight runs short of a century. Greg Chappell said he was one of only two players he knew who would kill to get into the Australian Test team, the other being Ian Redpath. Marsh played backyard cricket with his older brother Graham, who became a professional golfer and won eleven times on the European Tour. Both brothers represented WA at cricket at schoolboy level. Marsh played his first competitive match at the age of eight for the Armadale under-16s. He kept wicket from the start, but batting was his strength. At thirteen he captained the state schoolboys' team, and joined the West Perth district club. When he debuted for West Perth's first XI he was a specialist batsman, as WA wicketkeeper Gordon Becker also represented the club. In order to further his keeping, Marsh joined the University club. Marsh made his first-class debut for WA, again as a specialist batsman, against the touring West Indies in 1968–69. He had an unusual match, scoring 0 and 104. Marsh replaced the retired Becker for the 1969–70 season. At the time, Australia was touring India and South Africa with Brian Taber and Ray Jordon as the team's wicketkeepers. In the autumn of 1970, an Australian second team toured New Zealand with John MacLean as wicketkeeper. Therefore, Marsh was behind these players in the pecking order. However, he was a controversial selection for the first Test of the 1970–71 Ashes series, replacing Taber. His superior batting had won him the position. The media was quick to criticise Marsh’s glovework in his early career, dubbing him “Iron Gloves” after he missed a number of catches. Even on his debut in the First Test in the 1970–71 Ashes series he took four catches in his first innings. His batting proved invaluable on a number of occasions and in the Fifth Test, he equalled the record for the highest Test innings by an Australian keeper, set by Don Tallon. The end of the innings was controversial; the captain Bill Lawry declared with Marsh eight runs short of a century so he could get an extra hour of bowling before stumps. When questioned by the press about his lost chance to make an historic century Marsh said he had gained forty runs instead of missing eight as he thought Lawry should have declared an hour earlier. Marsh later admitted that he was underprepared as a wicketkeeper, but he learned from watching his English counterpart Alan Knott. He and Knott did, however, concede the same number of byes in the series: 44. Marsh became an integral part of the team as the side improved during the 1972 tour of England. He became the first Australian keeper to hit a century by scoring 118 in the first Test against Pakistan at Adelaide in 1972–73. He also hit 236 against the tourists for WA, the best score of his career. 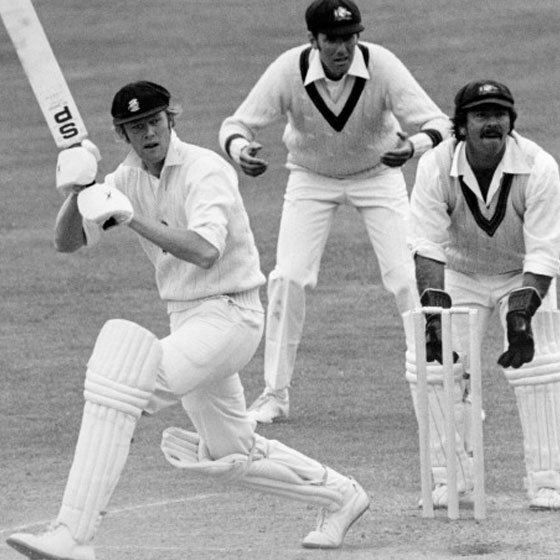 Playing a key role in Australia's series victories over England and the West Indies in the series of 1974–75 and 1975–76, Marsh made many acrobatic dives to catch balls delivered by Dennis Lillee and Jeff Thomson. He took 45 dismissals in those two series, including a world-record 26 catches in six Tests against the West Indies. 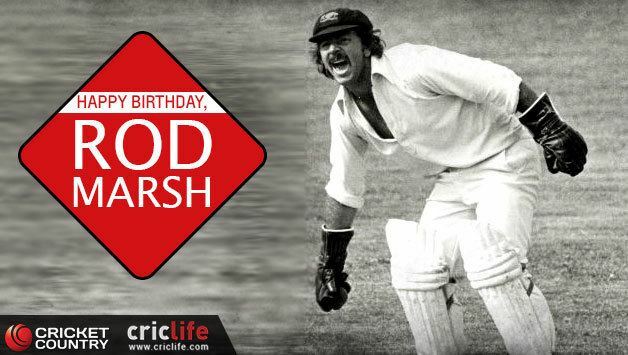 Marsh scored an unbeaten 110 in the second innings of the Centenary Test against England in 1977, becoming the first Australian wicketkeeper to score a Test century against England. In the same match he passed Wally Grout's Australian wicket-keeping record of 187 Test dismissals. He scored a further 16 half centuries. In first class matches, he accumulated 11 centuries including a best of 236, aggregating more than 10000 runs in his career. When the breakaway World Series Cricket was formed, Marsh had no hesitation in signing for Kerry Packer. He claimed 54 dismissals in 16 Supertests. Upon his return to traditional international cricket in 1979–80, his age did not affect his keeping ability. On the 1981 tour of England, he took 23 dismissals to become the first wicketkeeper to take 100 dismissals in Ashes Tests, broke Knott’s world record in 22 fewer Tests and passed 3000 runs in Test cricket. In 1982–83, his second last season, he took 28 dismissals against England, including nine and eight in the Second and Third Test respectively. His batting form fell away towards the end of his Test career, his last 22 Tests yielding only 589 runs at an average of 19.63. Statistics correct at 21 August 2015. Source:. Powerfully built, Marsh was regarded as an all rounder for the majority of his career. Coupled with his short stature, his power suited him to the task of keeping wicket. Despite his bulk, which forced him to work heavily on reducing his weight in his early career, he had fast feet movement, combined with fast anticipation and reflexes which allowed him to cover more ground. He raised the role of wicketkeeper to a more prominent status in a team with his acrobatic diving, raucous appeals and habit of throwing a ball high into the air upon completing a dismissal. As the wicketkeeper, he made himself the focal point in the field and attempted to extract higher standards of concentration from both himself and his team-mates. 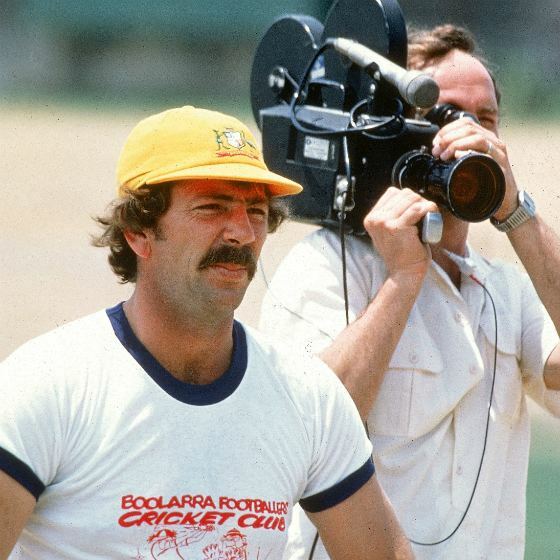 Speaking of his understanding with Lillee, he said "I've played with him so much now that most of the time I know what he is going to do before he has bowled" Marsh said, "I know from the way he runs up; the angle, the speed, where he hits the crease, where the ball is going to be." 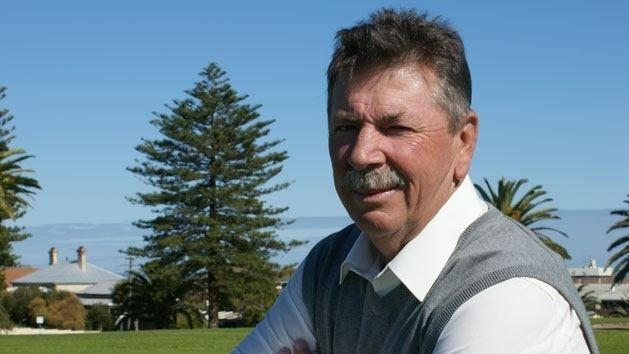 At state level, Marsh was a noted captain, leading the state to a Sheffield Shield and Gillette Cup double in both forms of the game in 1976–77. He had nine wins and seven losses in 20 Shield matches as captaincy, and seven from nine matches in the limited overs competition. Marsh was an effective player in ODI matches, contributing as a keeper and a lower order batsmen. His power and aggression was put to good use in the closing overs, when he could score at a rapid rate. 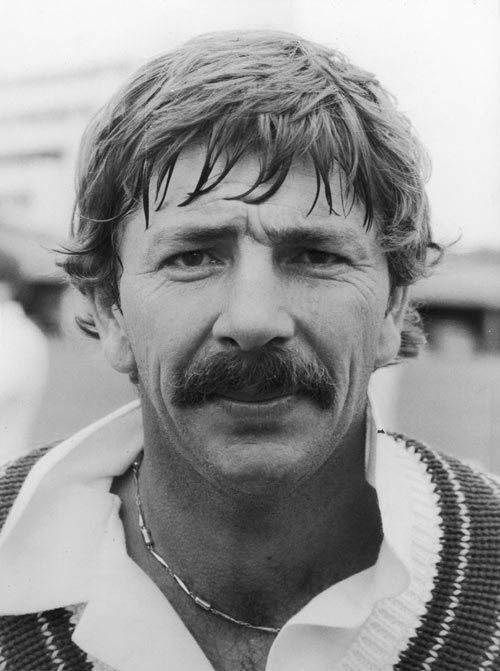 In one match against New Zealand in 1980–81 against Lance Cairns at the Adelaide Oval, he struck 26 from the final over, with three sixes and two fours, before falling on the final ball. Marsh was a cricket commentator for Channel Nine's international matches between 1986–1990 and 1996–1998. Marsh was the Director of the England and Wales Cricket Board (ECB) national academy from October 2001 to September 2005. During this time, England went from being a mediocre team to challenging Australia as the best team in Test cricket and in 2005, they regained the Ashes after 16 years in Australian hands with a 2–1 win. Marsh later criticised the ECB for releasing Troy Cooley, who had trained England's four pronged pace battery, and attacked Duncan Fletcher's selection of Geraint Jones as the wicket keeper ahead of Chris Read. He once declared his cricketing allegiance to England and was at one time a selector for the English team. In August 2006 the South Australian Cricket Association announced Marsh had been appointed in a consultancy role to undertake a review of cricket throughout South Australia. Marsh had also worked with the Global Cricket Academy in Dubai. Marsh was appointed chairman of selectors for Cricket Australia on 2 May 2014, replacing John Inverarity. He was previously Cricket Australia's manager of elite coaching development. On 16 November 2016 Marsh resigned as chairman of selectors, after a disastrous series defeat to South Africa. Marsh was made a Member of the Order of the British Empire in 1981 and inducted into the Sport Australia Hall of Fame in 1985. He received an Australian Sports Medal in 2000 and a Centenary Medal in 2001.